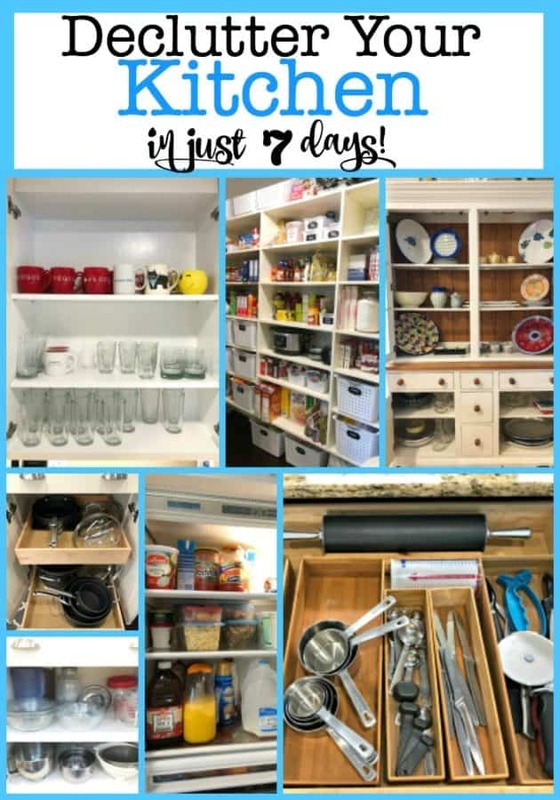 You CAN Declutter Your Kitchen in 7 Days! 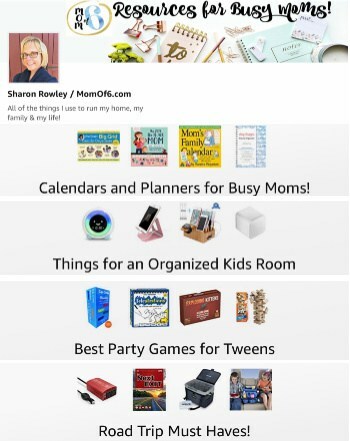 There's no doubt that clutter stands in the way between us and our desire to get organized! 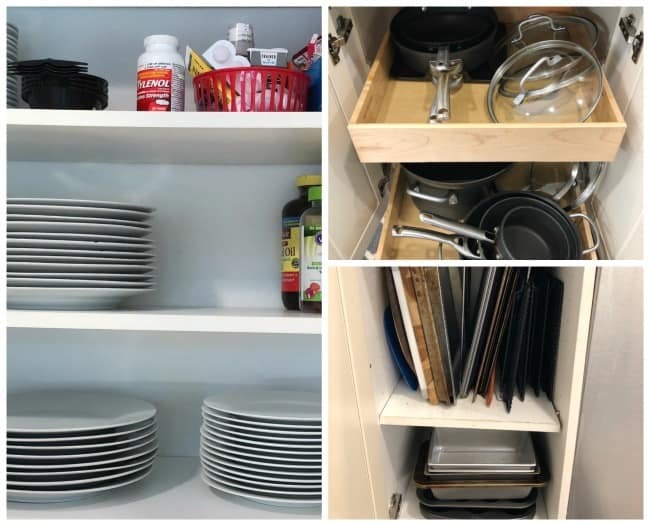 And I know that for me, the kitchen is one area that manages to accumulate all kinds of clutter- paperwork on the countertops, stale snacks in the pantry, water bottles and kitchen gadgets packed in the cabinets. 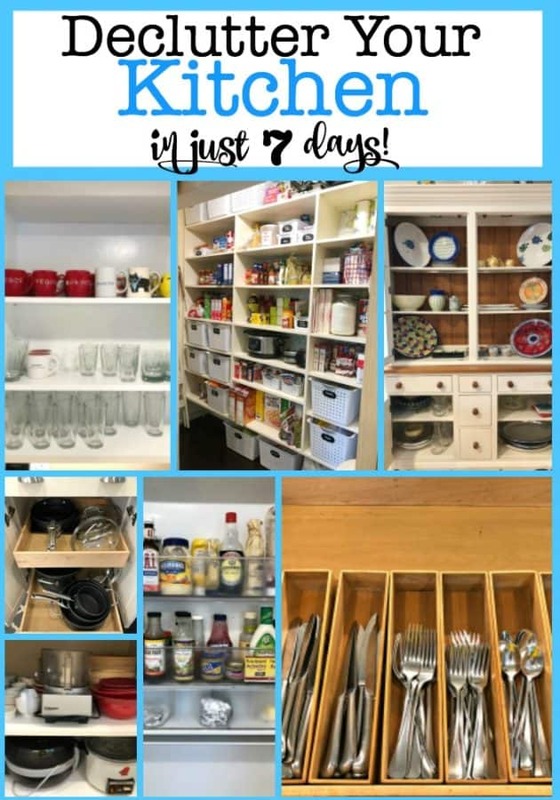 Every so often you need to go through what you own and declutter your kitchen– and I'm going to show you how to do it in just 7 days! When an area of my home gets too cluttered, I feel that it just drags me down. I can't find what I am looking for, I don't use what I have, and we end up buying duplicates which are a waste of money! But who has tons of time open on their schedule to tackle a decluttering project? But I bet we can all find just an hour a day for seven days to tackle a project like this! (Of course if you haven't decluttered in a while, you can allocate more than one day to each step if you need it). I feel that it makes the most sense to clean out the kitchen by category. 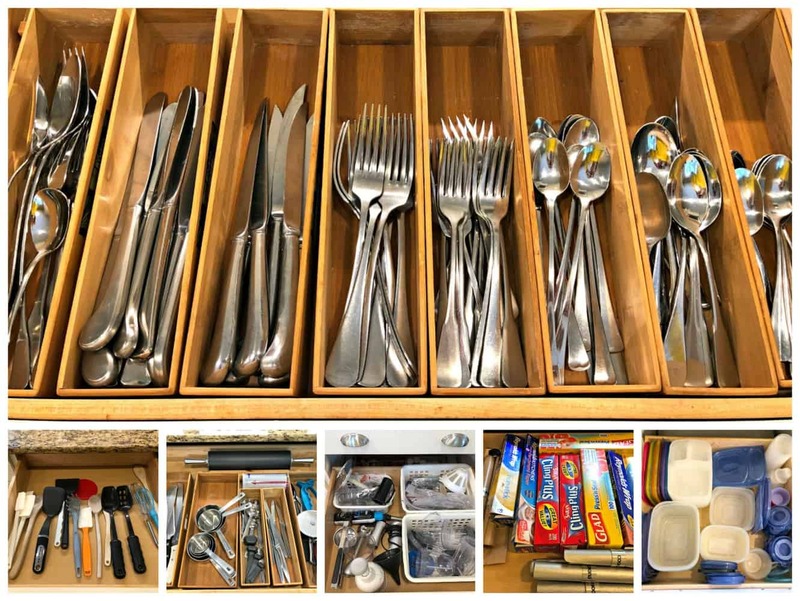 That way it is easy to shift things around from one cabinet to another as you go along, since you are decluttering and organizing “like items” all on the same day. 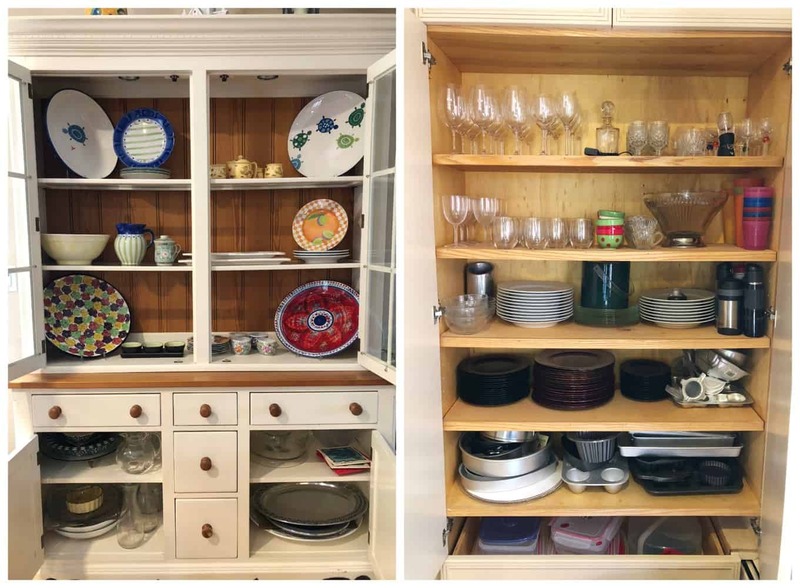 Each area should be emptied, sorted into “keepers” and “discards,” then the cabinet or drawer should be vacuumed and the keeper items re-organized in the newly cleaned out space. This is one of those projects that build momentum just because you'll be so excited about how each new clean drawer and cabinet looks! It is amazing how easy it is to accumulate plastic cups from amusement parks, promotional mugs and wine glasses from events that you attend (with a company's logo on them), silly and paper straws and even travel coffee mugs. One day you come home with it, you stuff it into one of your cabinets- and boom- it starts taking up space. And really- it's not anything you love, or you'll use, it's just that you own it and feel that you need to store it. Emptying out the cabinets and getting rid of all of that stuff- just feels good! This is one of those areas where it is so easy for things to get disorganized- especially when the kids help you to put the groceries away and don't pay much attention to putting “like things” together! For me, it helped to unload the shelves onto the kitchen table, sort items into categories and then return them to the shelves after I cleaned them. I also find that storing items in plastic baskets and labeling them with chalkboard stickers helps my family to find what they need easily (hopefully stretching the length of time that this area will stay neat! I have a hutch that I use for fancy plates and serving pieces, and a cabinet that is located in our family room where I store wine glasses, more plates, and bakeware that won't fit into my kitchen. These are items that are used less often, so I don't need quick access to them while I am cooking. But they also become the where unused items get placed when I no longer want them in the kitchen. Thermos bottles, plastic cups, and even appliances that we no longer are using. So it feels great to declutter these areas and get rid of the things we no longer use! The cabinet where we store our plates and bowls also is the place where we keep daily medicines and vitamins, band-aids, and ice packs. So that's what took me the better part of the hour to declutter and throw away what had expired, and move up to the medicine cabinet the things we rarely us! The rest of these spaces mainly needed just to be wiped down and re-organized. 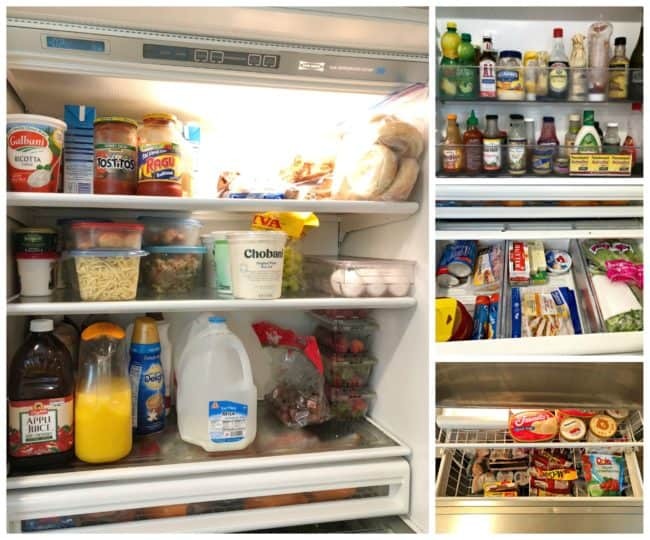 Declutter Your Kitchen Day 5: The Fridge! Don't forget to tackle the door shelves as well as the freezer! Yet another area that can get out of control- especially if you've received a few new appliances as gifts recently- we often don't remember to get rid of the ones we are no longer using before we find a home for the new one! But if you haven't used something at all in the last year- then it's probably time to let it go! And here's where you want to make sure that you have everything organized on shelves by category- otherwise it is hard to know what you have, let alone actually find it. One of the things that I stumbled upon that I had forgotten about for years was a hand-crank pasta maker, and finding it inspired me to make homemade fettuccine noodles last weekend for my family! So glad I found that little machine again! This is an area that was full of decluttering opportunities! Our kitchen is blessed with many many drawers, and they all needed some work! Over the years you pick up a slew of gadgets that you really don't need or use. Or if you are like me, you buy a new vegetable peeler because you hate the old one, but you never throw the old one away- you keep it around “just in case”! 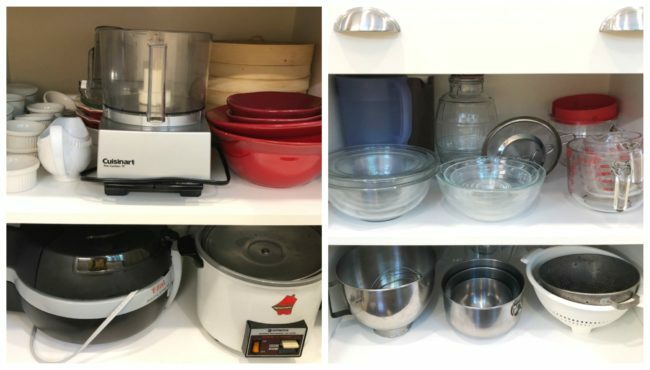 It felt great to purge these items, clean out the drawers, and get everything organized so that I can find it quickly and easily while cooking! 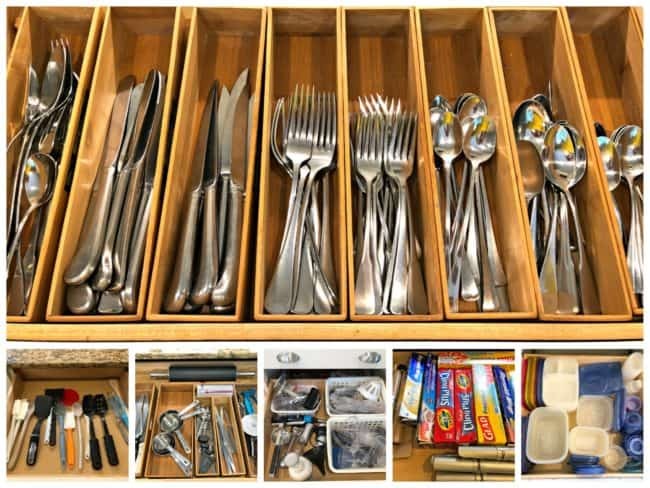 And I love these bamboo drawer organizers that I use to keep everything neat! 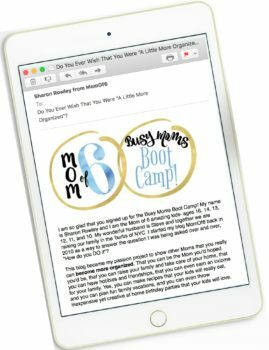 « Easter Would You Rather Questions for Tweens! 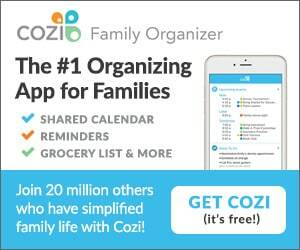 As a mom of four – I can apreciate the art of being organized. The first thing I purchased in my new house were drawer organizers for my kitchen and they have been a LIFESAVER! Thanks for your handy tips! You are so welcome Rachel! I hope that you hang out with us here often! As far as the drawer organizers is concerned…mine is a bit messy. You know what? I’m going to go clean out my utensil drawer right now! You have a beautiful and organized kitchen. Thanks for linking up to the Spring Cleaning Challenge! It would be great if you could link to one of the challenge hosts. Good luck on the prizes!! Thanks Christine! Generally I try to complete a task or an area rather than set a time limit. I think that walking away after getting one area completed allows me to feel more satisfied than just cleaning for say 20 minutes. But I agree that knowing there is an end in sight really helps! Good job! I need to take an inventory of our glassware and donate some of the extras. I KNOW i do not need the dozens of coffee mugs I have! I know! 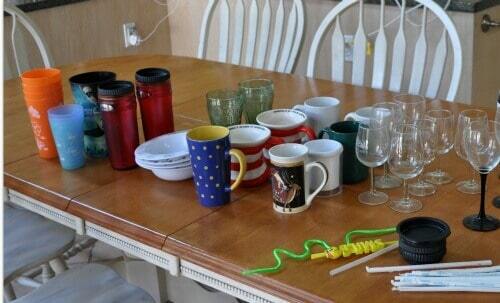 Where in the world do all of these coffee mugs come from? And why did I ever feel the need to hang on to them? 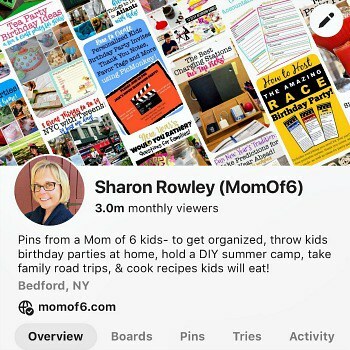 Looks wonderful, Sharon! I’m sure the newly de-cluttered and re-organized spaces give you new life and energy. I’m finishing up our school room now, and will move to the kitchen. 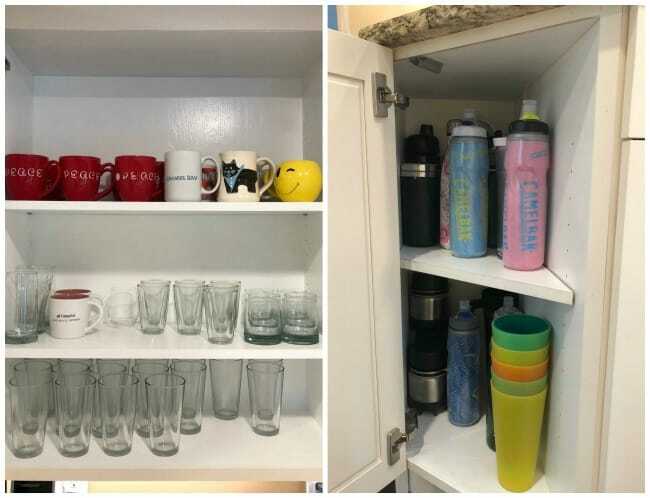 I have to be careful – after reading this post I want to drop everything and purge our travel mugs and plasticware, Right Now! I feel the same way I see someone’s garage decluttering project! It makes me want to drop everything and just get started on it! Oooo… I would TOTALLY wait to reorganize once you get the new cabinets. 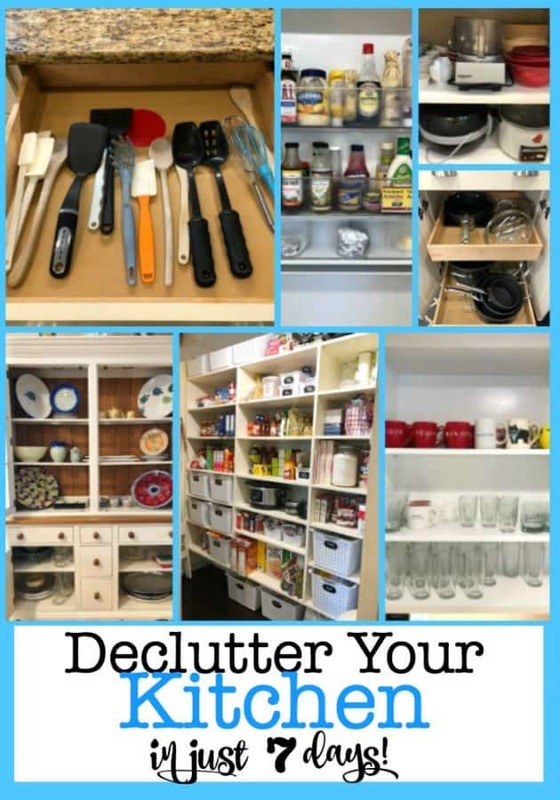 My only advice would be to make sure that you declutter and not just move every last item from your old cabinets to your new ones! It will feel even better if they are new, decluttered, AND organized! I’ll definitely stop by Katie! Always looking for inspiration! I love the separate pantry area, it looks nice and bright. It is amazing how so many random things start to live in the kitchen! I know- since your kitchen is the area in your home when you spend the most time, it tends to become the catch-all area for so many things! Even though I haven’t quite kept up with my 40 Days ~ 1 Whole House challenge I am amazed how much lighter my home is feeling! I keep walking in rooms that were once full of clutter land mines and being surprised that I can see the carpet! My husband keeps saying that when he walks into our basement and our pantry its like he doesn’t even know the place! And I keep saying “Why did it take us so long to do this?” The problem is- I now look at so many other areas of our house and think that I can’t stand how cluttered they are anymore… and really-just a few months ago I wouldn’t even have noticed it. Next up for me: Master bathroom cabinets and also the media cabinet in the family room. great job! 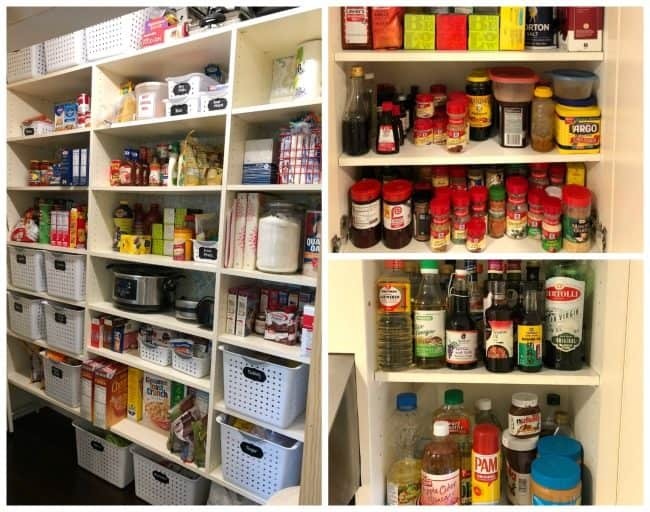 love the size of your pantry! me too! Of course it looks even bigger now that it isn’t crammed full! My entire house is under a declutter right now. I seem to be working in several rooms at once. I worked on my fridge this week for project simplify, and it was very satisfying. 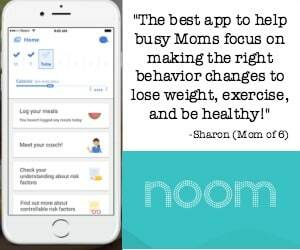 It isn’t easy to organize with a nursing baby and crazy 3 year old on the loose 🙂 I am much more slow going than I would like, but I have high hopes to complete before the summer! Heather I give you credit…. I didn’t do too much decluttering when my kids were that young! Heck- I can look back now and call those “the clutter building years”! Tackling more than one room at a time is hard…. sometimes you end up making such a mess while cleaning and sorting that you feel like you’ll never dig your way out! Hang in there…. setting your goals to finish up before the summer is realistic. Just keep working in small bites at a time!